Kingsmaid Domestic Cleaning has been at the forefront of Home Cleaning in Greater Manchester, Cheshire and Lancashire since June 2003. 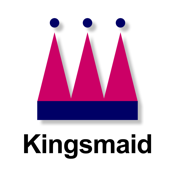 We remain a family run business and Kingsmaid has proven to be truly professional, well recognised, recommended and the home cleaning company to choose. Our Home & Office Cleaning Service teams service Lymm, Hale, Worsley, Rochdale, Macclesfield, Bramhall, Wilmslow and towns & villages within. We also have house cleaning teams dedicated to the Manchester City Centre, Didsbury, Alderley & Sale areas.